Alexander Zverev talks like a champion and now he believes he is ready to become one. 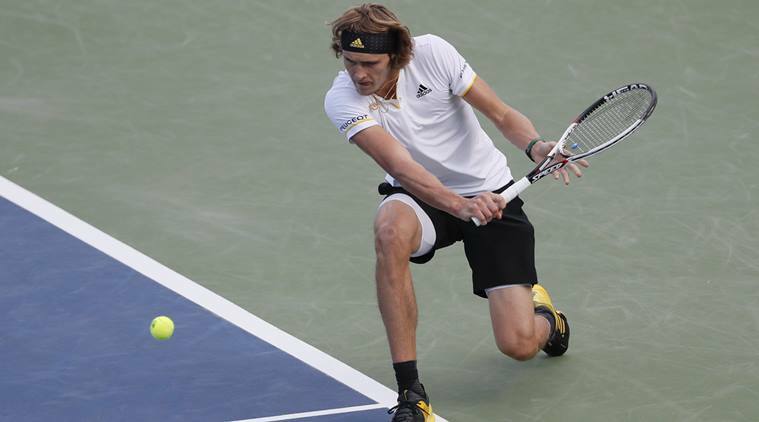 “I played great on the hard courts so far, won two tournaments, Montreal and Washington back to back, and I felt like I could compete and beat anyone,” Zverev told a news conference at the U.S. Open on Saturday. The 20-year-old German has been the revelation of 2017, picking up five titles, including two Masters 1000 titles. His wins over Novak Djokovic in the Rome final and Roger Federer in the Montreal final have helped to elevate him into the top 10 and he is seeded fourth in New York. He has yet to go beyond the last 16 at a grand slam but with Djokovic, defending champion Stan Wawrinka and Andy Murray all missing through injury, this could be his time. “I feel different about this grand slam than I have felt before about the grand slams,” Zverev said. Making the step up from tournament winner to grand slam champion is a big leap but Zverev pushed Nadal to five sets at the Australian Open in January, was edged out in five sets by Milos Raonic in the last 16 at Wimbledon and feels he is on the verge of a breakthrough. “This year I haven’t played bad at grand slams, I just had very tough draws,” said Zverev, who also lost in five sets to Fernando Verdasco at the French Open. “It’s just here and there, a few points decided both of those matches (against Nadal and Raonic) and who knows what could have been if I won those matches. Having begun the year ranked 24, Zverev has stormed into the top 10 and is virtually certain to qualify for the season-ending ATP World Tour Finals for the first time. It is a rise that was predicted by Federer and Nadal, both of whom have singled him out as a future world number one. His ascent to the top of the game has not been a shock to Zverev himself, either. “You probably expect me to be super-surprised,” said Zverev, who pointed to the work he did in the off-season and throughout this year. “I’m super-happy the way things are going but I’m not going to be satisfied with just being the number four seed. Doesn’t really matter at the end of the tournament what seed you were. It only matters how far you went and what matches you have won. “Hopefully I can do that like I have done in other big events this year, and we will see how it will go down in the end,” added Zverev, who has been drawn against qualifier Darian King of Barbados in the first round of the Open, which starts on Monday.